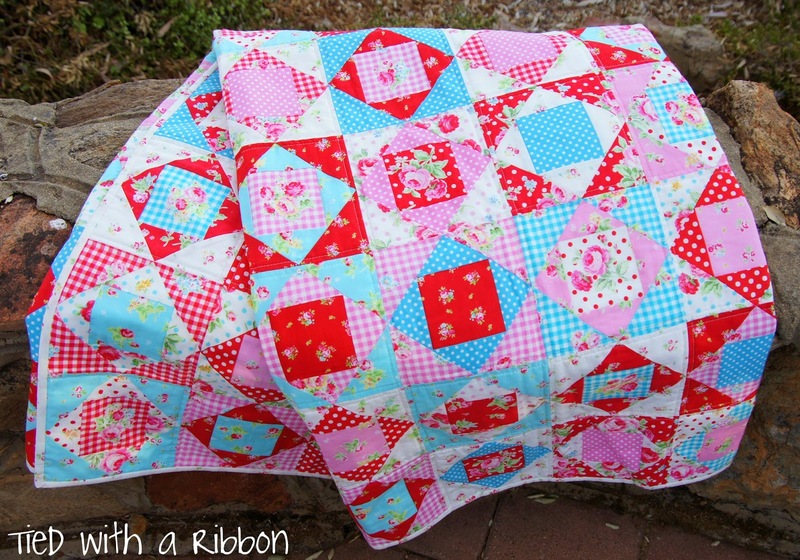 Tied with a Ribbon: Flower Sugar Quilt all complete. Flower Sugar Quilt all complete. I finished my Flower Sugar Quilt. All 100 Economy Blocks are now sewn together, machine quilted and bound. 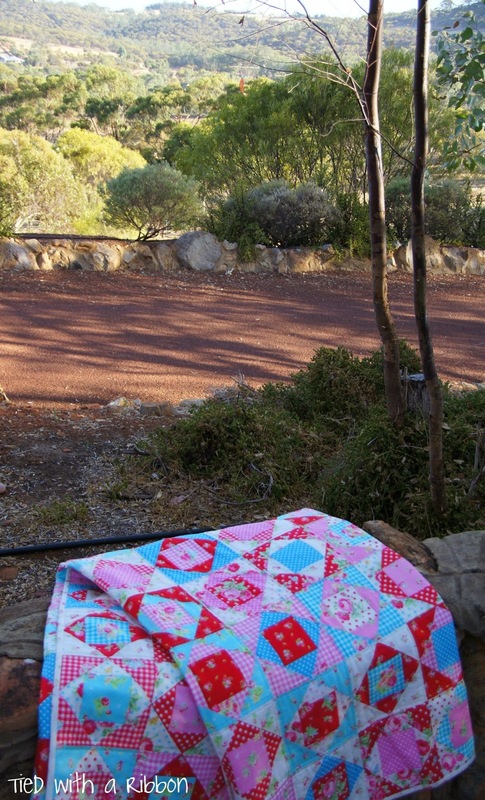 The pictures were taken up at Avalon Homestead where I was teaching at our Sew Along Retreat over the weekend. I decided on machine quilting the blocks with two tram lines along all the vertical and horizontal lines. 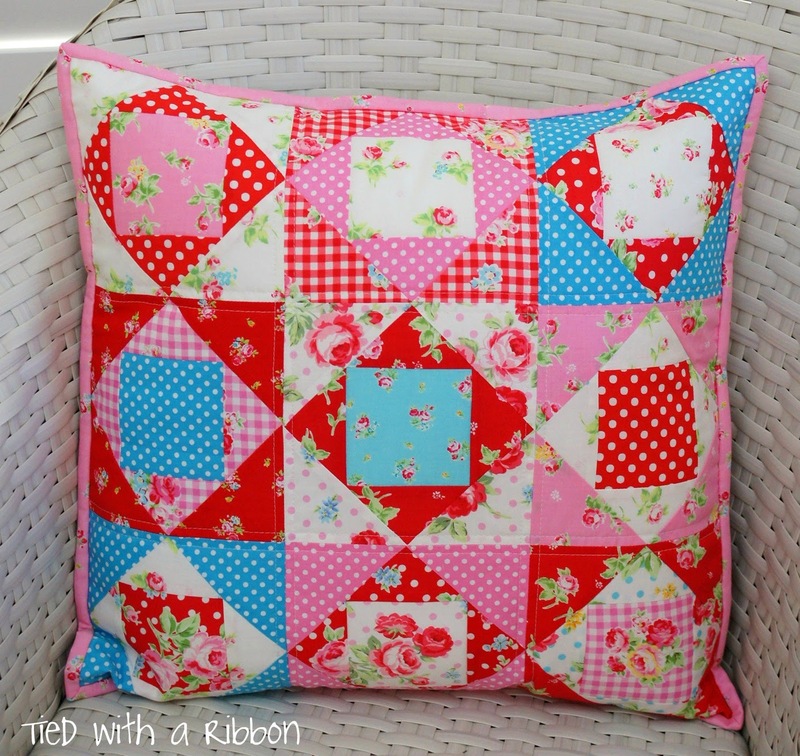 The quilt is so busy with the beautiful florals, spots and checks that I wanted to keep the quilting simple. 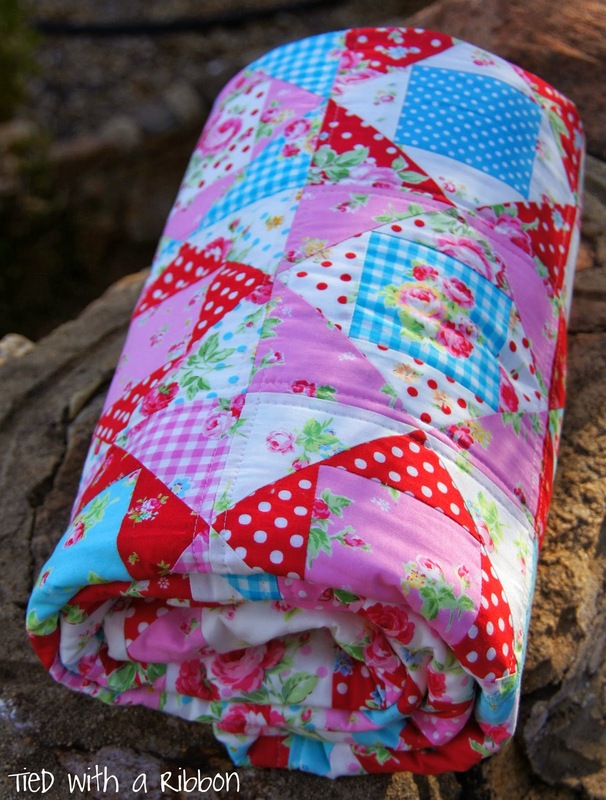 Nothing beats a quilt all rolled up and snugly looking. Now for winter to roll on. It's beautiful, such lovely combinations. 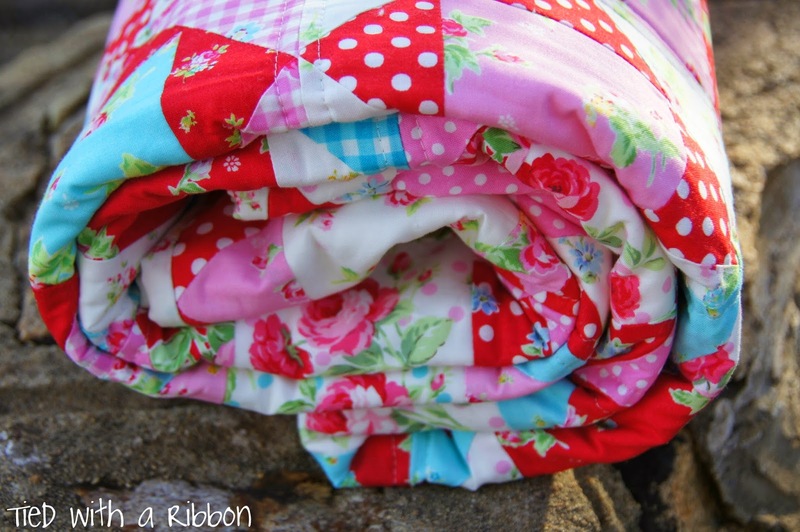 Beautiful Colours for this lovely quilt!